Earl Grey Tea lovers beware: people have become addicted to this floral tangy chewy candy. Bergamot is a citrus fruit that is primarily grown in Calabria, Italy for it's fragrant oil. It is best known for being one of the main flavors in Earl Grey. It makes a great gift for any tea lover. 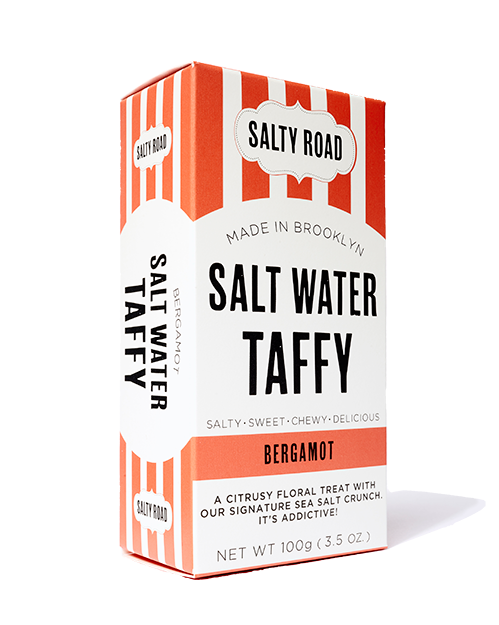 We are proud to say that Salty Road is the only candy company making Bergamot Salt Water Taffy.